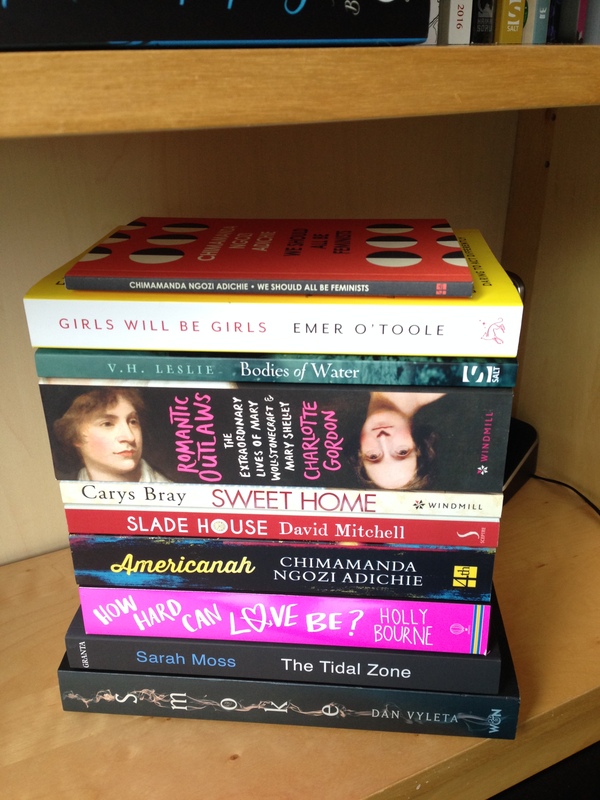 Welcome to my second June book haul post. I have been mega lucky this month with books sent to me plus i did indulge myself using a gift voucher from Christmas. (incidentally there are only 25 weeks to next Christmas! Hee hee) Anyway, here’s what i hauled. Isnt that just a glorious sight to behold? 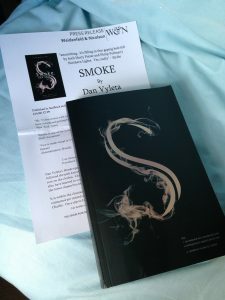 Smoke by Dan Vyleta – I’ve already begun reading this but it didnt hold my attention as much as i’d hoped but I will persevere in the future. 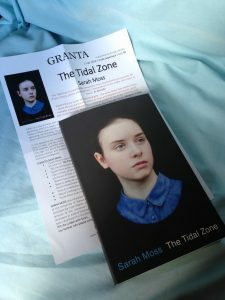 The Tidal Zone by Sarah Moss – I find this cover so striking, it has to be my cover design of 2106 so far, its amazing and makes me want to pick it without knowing anything about it. Everyone I have seen talking about it on Twitter or You Tube reckon its the business so i’m so excited to read it. 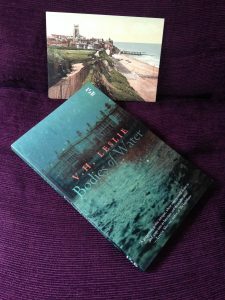 Bodies of Water by V.H. Leslie – This is another book that has been doing the rounds on You Tube and always being highly spoken of and i can understand why. I’m currently reading it and its wonderful. 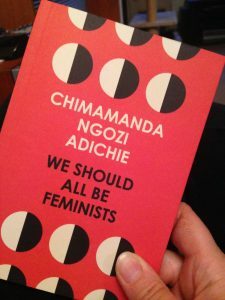 We should all be feminists by Chimamanda Ngozi Adichie – I’ve already read this as its little more than a pamphlet in some ways but a powerful little book that I really enjoyed. I plan to do a post on sexism as a few points she mentioned really hit home. 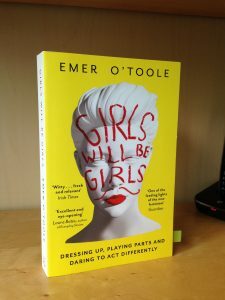 Girls will be girls by Emer O’Toole – Lauren from Reads and Daydreams on You Tube sold this to me in about 5 mins during one of her wonderful videos. I began reading it as soon as it came but i’m not getting on with it really. She makes some interesting points but i cant help feeling its more of an excuse to write an autobiography even though she isnt well enough known for that yet. IMHO anyway. How hard can love be? 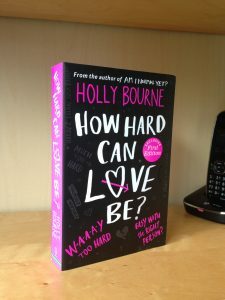 by Holly Bourne – Holly is such a funny writer but her books are normally not my thing at all, however i began reading this on Amazon and its really sweet and very funny so i had to buy it for a bit of light reading. 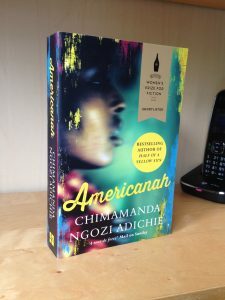 Americanah by Chimamanda Ngozi Adichie – I am way late to the party as they say on this one but having read her feminist book I just love her writing style so decided to give this a go and the cover aint half bad either eh? The only problem I have with this is the font size. Its ridiculously small! Why oh why publishers are you doing this to me lately? I am considering sending it back and buying it in ebook form to read on my iPad, at least that way i can control the font size. 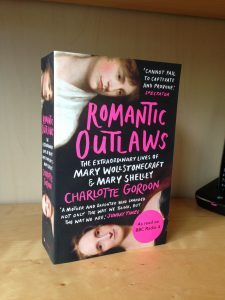 Romantic Outlaws by Charlotte Gordon – Isnt this another stunnner and its a right chunker to at over 600 pages! what am i thinking? books over 300 usually stump me. However this does sound amazing fun and i do love a biography about strong women. Sadly this is another victim of stupidly small font syndrome (SSFS) but i dont think i can part with this for a boring flat ebook version, i just wanna hug it all the time. 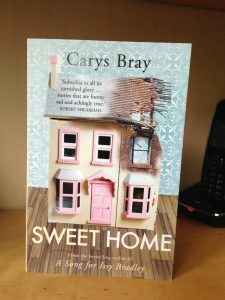 Sweet Home by Carys Bray – this is a book of short stories which sound so good albeit heartbreaking and sad apparently. I havent read any of her other books but couldnt resist this one. Just look at that cover too its a stunner! 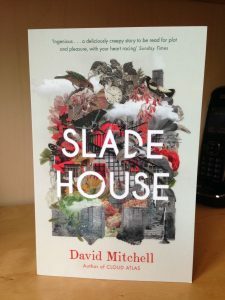 Slade House by David Mitchell – This has been on my wish list for months and ive been waiting for it to come out in paperback form. 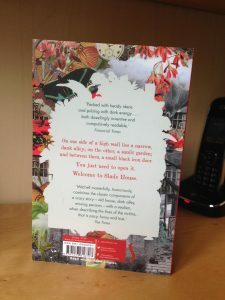 The cover is beautiful and has a shiny slightly embossed design but the back is just as gorgeous look! I read a sample on Amazon months back and cant wait to find out more so this is near to the top of my TBR already. Well thats it folks, what books have you hauled this month? Where has this year gone? half of it is now over already! madness! Do I overuse this! I think i do.